We’re delighted to announce that we have now branched out into the market town of Yarm and we currently have a wide selection of properties in the area. With a fantastic reputation in our existing locations it made sense to expand into this vibrant and attractive town on our doorstep. This also compliments our Northallerton office to the South and Darlington office to the West. Our motivated and dedicated team have been paramount to our success and have aided the company's continuing growth. Currently 13 members of the Carver Group are studying for a qualification in residential estate agency to enable us to provide an even better service. If you are thinking about buying or selling in Yarm, or indeed in County Durham, come and speak to one of our friendly advisor's in any of our branches. The Yarm office also has a dedicated independent mortgage advisor, Cherise Connors, who is available for appointments 6 days/week. With offices in Darlington, Newton Aycliffe, Richmond, Hurworth, Northallerton and now Yarm we now cover a vast area with a large range of services and expertise. The Yarm office is located at 5 Danby Wynd and is open from 9am-5pm on weekdays and 9.30am-1.30pm on Saturday. 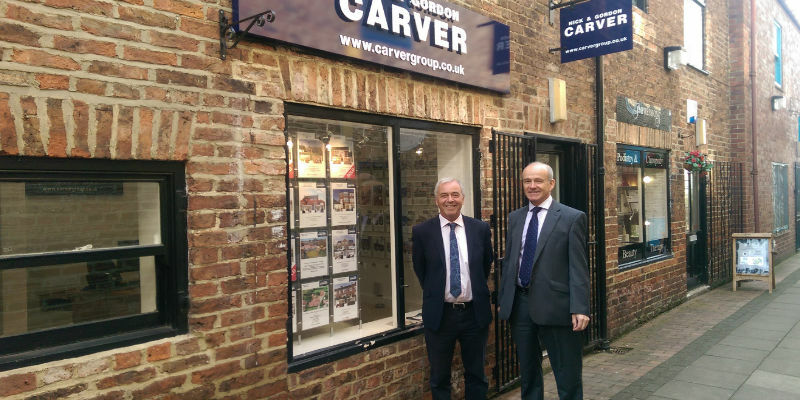 Contact the Yarm office on 01642 420090 or email us at yarm@carvergroup.co.uk.